The primary "shrines and temples of Nikko" are the structures of Toshogu Shrine, Futarasan Shrine, and Rinnoji Temple on and around Mt. Nikko. Inscribed on the World Heritage List in 1999, they are known as "two shrines and a temple at Mt. Nikko," and this is due in part to their splendid buildings blending in perfect harmony with Nikko's three most sacred of mountains, Mt. Nantai, Mt. Nyoho and Mt. Taro. Between them they contain 9 national treasures and 94 important cultural properties. 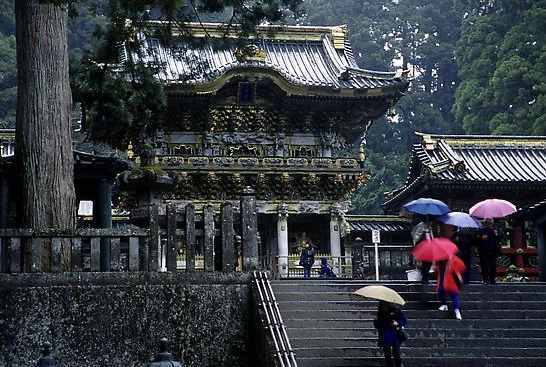 It is said that Nikko worship originated in 766 when a priest named Shoto succeeded in reaching the top of Mt. Nantai where he built Shihonryuji Temple.